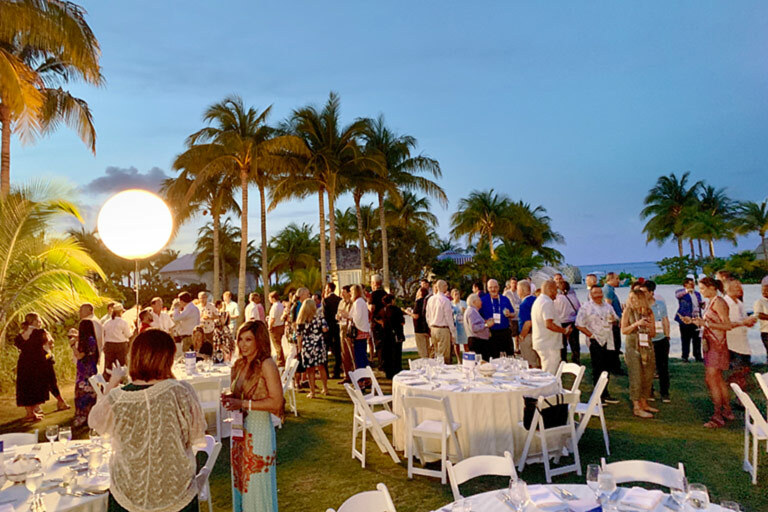 The Grand Hyatt Baha Mar in Nassau overlooking the sparkling turquoise waters of The Bahamas proved to be the perfect setting for the recently concluded HEALTHTAC East 2019. 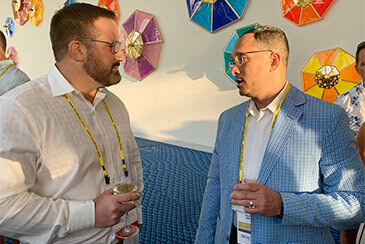 Outdoor receptions and dinner on the grand lawn highlighted activities of the sixth bi-annual HEALTHTAC produced by Senior Living News that included pre-scheduled private meetings, four executive discussion panels, and competitive team-building activities. Lisa Cini, President and CEO, Mosaic Design Studio, and author of several books, addressed how we can win the hearts of boomers in her keynote address, what to avoid when designing, and top technology trends in senior living. She urged operators to avoid isolating residents, and not to assume age and technology don’t mix—emphasizing the importance of how we introduce technology to older adults so they can see its usefulness. Other mistakes are designing for ease of staff vs. residents; lighting for code, not sight— seniors need 70 percent more light than a 20-year-old; and designing for safety vs. freedom. She believes the key is offering solutions to age in place—wherever people call home. She invited the audience to look into the future 25 years from now, seeing themselves healthier and happier and getting better every year. She wowed the audience with the top tech trends in senior living design, showing examples of induction looping, induction cooking and kitchen aides, personal health devices, smart lighting, 3-D printing, robots, gamification including virtual reality, and sensors, IoT and crowd-sourcing. Attendees offered their key takeaways from the event. 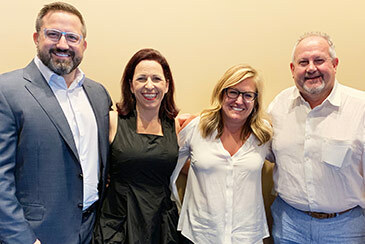 Vorkapich joined Cini on the “Winning Workforce Strategies for Cultural and Operational Challenges” panel with Kristin Kutak Ward, President & CEO, Solvere Living; and Kevin Merrill, Business Development Director, Inviacom. “I can’t wait to get back and tell my team there are bigger and better things, solutions here that we haven’t explored. 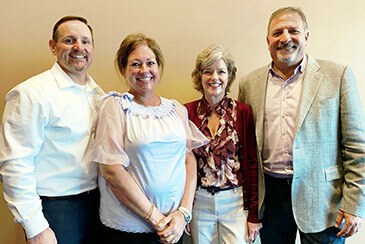 It has been an eye-opener,” said Camille Burke, COO, Christian Living Communities and Cappella Living Solutions. 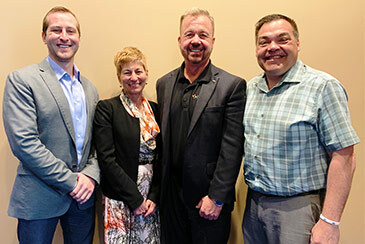 Burke spoke on the “Disruption and Challenges: Are You Ready?” panel with Larry Birnbaum, VP Global Hospitality, Ruckus Networks; Doug Leidig, President & CEO, Asbury Communities; and Judy Amiano, President & CEO, Franciscan Ministries. Amiano shared one of Franciscan Ministries’ strategies to fight prohibitive construction costs—soon breaking ground on its first community built with almost 100 percent modularization. “It’s a concept in ‘being-proven’ mode, and I think we’re first in the industry to do it,” said Amiano. “This is different than panelization. Essentially everything except the shingles and skin of the building comes completed—light sockets, finishes, plumbing, everything is there. Speaking on the “Transforming Organizations in a Changing Industry” panel were Melissa Banko, Principal & Owner, Banko Design; Amy Birkel, Vice President, Heritage Communities; Sara Terry, SVP, Resident & Family Engagement, Brookdale Senior Living; and Jack York, President and Co-founder, It’s Never 2 Late (iN2L). 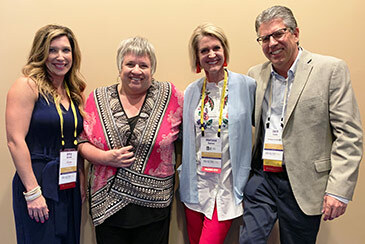 The panel agreed it’s everyone’s duty to educate others about what the senior living industry offers so they, too, will fall in love with it—through whatever channels are available—and how technology has been an enticement, especially to young people. Technology’s role in keeping people connected and engaged—especially for those with dementia—is not a novelty anymore. It’s often more important now than where a family member may be physically or cognitively. Because of the prevalence of dementia and the need to understand it and prepare for it, the panel also believes those in the industry have a duty to have voices to champion the lives of those living with dementia. Birkel shared Heritage’s strategies to offer to all, but especially female workers, the gift of time—with flexibility; onsite services like daycare; grocery, pharmacy and dry cleaning drop-off and delivery; even paid house cleaning for leadership—ways to show how much team members mean to the organization, lessening their stress, allowing them to spend more time with their families. 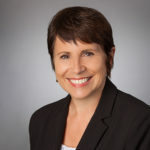 Terry referenced things like apps for Brookdale’s care partners so they can pick up extra shifts and how Brookdale President/CEO Lucinda Baier has set a tone from the top to address a largely female workforce and resident population currently 69 percent female. Brookdale’s board now includes four women and four men. The “Innovation Drives the Difference” panel included Walt Armentrout, Co-Founder & Chief Executive Officer, HeartLegacy, LLC; Larry Carlson, President and CEO, United Methodist Communities; James Hoevertsz, Executive VP of Hospitality & Culinary, Lenity Management; and Lynne Katzmann, Founder and CEO, Juniper Communities. HEALTHTAC West 2019 will be held August 18-20 at the Rancho Bernardo Inn, San Diego. For information visit, www.HEALTHTAC.com. To learn about speaking opportunities, contact Senior Living News Editor Cheryl Slavinsky here or at 717-433-0406.